Patricia & Phillip Frost Art Museum exhibits “LaToya Ruby Frazier: Flint is Family.” This series by MacArthur Fellow, LaToya Ruby Frazier, explores Flint, Michigan’s water crisis and the effects on its residents. 5-7 p.m. 10975 SW 17th St. Tamiami. Details: https://bit.ly/2ssX3wu. Books & Books in Coral Gables hosts “A Taste of Fine Wine Paired with FROST Music,” featuring Frost professor and violist Jodi Levitz and The Frost Stamps String Quartet. 6:30 p.m. 265 Aragon Ave. Details: https://bit.ly/2SP9r5K. Coral Gables Museum hosts its Architecture Lecture. Jose Gelabert-Navia, Regional Director of Perkins + Will and the creator of “Museums without Walls” will be leading the discussion. 6:30 p.m. 285 Aragon Ave. Details: https://bit.ly/1mFtsvj. The Miami Heat hosts the Chicago Bulls. 6:30 p.m. AmericanAirlines Arena, 601 Biscayne Blvd., Miami. Details: https://bit.ly/2TMf8Be. Miami Beach Cinematheque screens “Miami Encore Screenings! 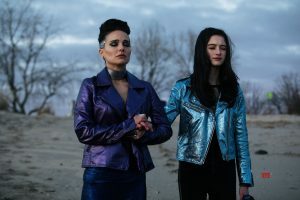 Vox Lux by Brady Corbet.” 7 p.m. 1130 Washington Ave. Details: https://bit.ly/2RxrmBl. FIU Music Series at the Wertheim presents “Pianist Dingyuan Zhang performs All-Debussy.” Guest concert pianist Dr. Dingyuan Zhang, Professor at East China Normal University in Shanghai, performs an all-Debussy program including the 12 etudes from 1915. 7:30-9 p.m. Herbert and Nicole Wertheim Performing Arts Center Concert Hall, 10910 SW 17th St., Tamiami. Details: https://bit.ly/2QOeWzQ. Frost School of Music presents “Back to the Sunset featuring Composer Dafnis Prieto: Frost Concert Jazz Band.” 7:30-8:30 p.m. UM Gusman Concert Hall, 1314 Miller Dr., Coral Gables. Details: https://bit.ly/2LWhk6z.